Apple is in full-court press mode in response to flack the company has taken about poor working conditions at its supplier factories. 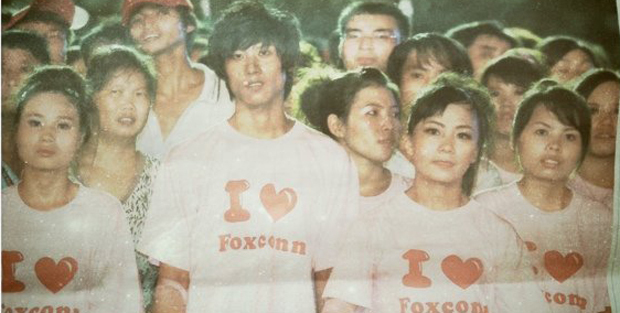 On Monday, Apple issued a press release saying it will allow the Fair Labor Association to begin inspections at Foxconn, letting the FLA conduct audits of its its workplace environments and interview thousands of its employees on topics including safety, compensation, and labor hours. Today, at Goldman Sachs’ technology and internet conference, Apple CEO Tim Cook stressed the company’s commitment to safe workplaces and fair employee treatment. He spent the first nine minutes of his presentation discussing the topic, touching on problems in the supply chain and new initiatives the company has put in place to assure those problems do not happen again. Cook started on a rosier note before delving into many of the problems it faced from suppliers. Calling education the “great equalizer,” he gave some insight into the opportunities Apple provides for its supply chain employees. He said Apple provides free classes for employees at local colleges in many locations of its supply chain, where employees can learn computer skills, english, and entrepreneurship. More than 60,000 employees had attended these classes, and many went to earn associates degrees. “This is a very powerful stepping stone for people looking to advance their careers or lives,” he said. Of course, we hear more about child labor at Foxconn than we do education benefits, and Cook spent the rest of his discussion addressing such issues. “We think the use of underage labor is abhorrent,” he said. “It’s extremely rare in our supply change, but our top priority is to end it totally.” Cook said that it would be a “firing offense” if a supplier was discovered to intentionally hire underage workers. Cook also said Apple was focused safety at the most granular level. “We don’t let anybody cut corners,” he said, adding that the company aims to introduce new standards for its entire supply chain. “If there’s fire extinguisher missing from the cafeteria kitchen,” he argued, then that cafeteria’s safety isn’t up to snuff. Lastly, Cook discussed excessive over time at Apple. According to Cook, Apple’s code of conduct has a cap of 60 hours per work week (which is likely news to both China- and Cupertino-based employees). “We’ve consistently found violations to this code,” he said. In response, Apple has started micro-managing supplier work hours. In January, for example, the company collected weekly data for more than 500,000 worker in its supply chain, and found suppliers to be 84% compliant, a significant improvement from the past, Cook said.